Beginning five years ago, Botanical Bazaar started as a seed of an idea that will this year flourish into the Gold Coast’s biggest gardening extravaganza. See more then 90 green exhibitors plus celebrity gardener’s talks, demonstrations, workshops, botanical art and kids nature activities. Learn how to grow your own food, urban and small space gardening, using medicinal herbs and sustainable living concepts. Explore plant nurseries and landscape designs, garden materials and tools, organic beauty products and even botanical homewares. Enjoy a relaxing day amongst the community gardens with the live music and delicious food. Proudly supported by Councillor Peter Young, Division 5, City of Gold Coast. 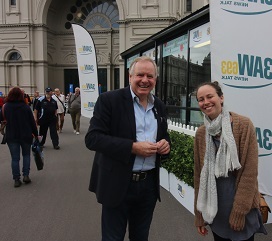 Australia's premier garden show held in the Carlton Gardens, on the edge of the Melbourne CBD, usually late March each year. 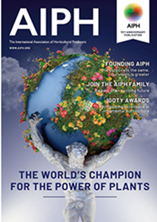 Visit the MIFGS website for more information. The various cities and towns of South East Queensland regularly stage a series of winter and spring initiatives to encourage the community to get involved with gardens and gardening. Development of a cooperative regional gardens planning strategy would coordinate the timing and enhance the value of these events. Tourism and Events Queensland support both Nambour, BIGS and Toowoomba Carnival of Flowers which at the Queensland Tourism awards won the Festivals and Events Category in 2014 and the Major Festivals Category in 2015 illustrating how these types of horticultural based events are recognised at this high level. Join us on the Sunshine Coast at Nambour from 13th to 15th July. This three day expo is Queensland’s premier gardening event attracting gardening enthusiasts from across Australia and New Zealand. Some of Australia’s leading gardening experts take part in three days of free lectures, demonstrations and workshops. See plants, plants and more plants with over 55 nurseries represented and over 360 exhibitors. There is a full program of free lectures and demonstrations on eight ‘live’ stages every day, covering a vast array of gardening topics. Head to The Cook’s Garden for some great tips on growing your own produce and turning it into delicious gourmet meals. The Giant Kitchen Garden features a fully planted sustainable garden constructed onsite, be sure to head there to learn how to start your own veggie patch. Get free help with gardening problems and plant identification from the onsite Plant Clinic and be inspired by the fantastic arrangements in the Floral Design Competition and Landscape Gardens. 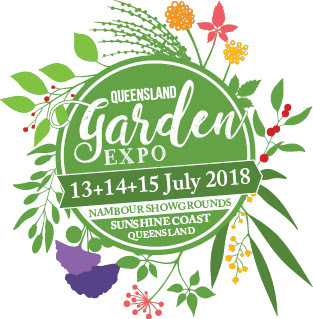 Spend the weekend visiting the Queensland Garden Expo and exploring our naturally refreshing Sunshine Coast region – return home relaxed and inspired! The Ekka (Royal Agricultural Exhibition) has like the Royal Melbourne Show and the Sydney Easter Show, has been the biggest annual event for that city for as long as anyone can remember. Gardening has always been part of the Ekka, but last year the gardening part of the show expanded when the horticultural industry took over the Old Museum adjacent to the showgrounds. The old museum building is a landmark on the main road north, within walking distance of the Brisbane CBD. 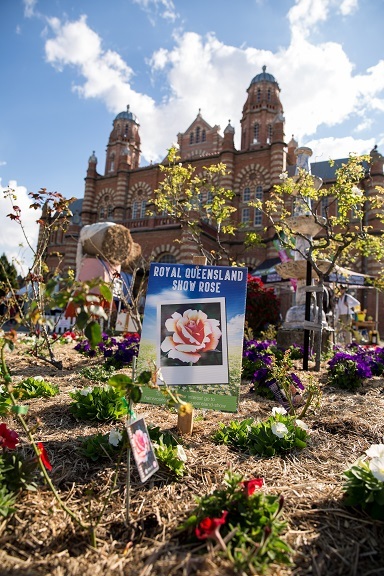 The Old Museum is already well known for its gardens, which include several heritage rose garden beds, making it the perfect place to feature Ekka’s flower, garden and quilt precinct. The Ekka runs August 10-19 2018. For more information, visit the website www.ekka.com.au. Beginning four years ago, Botanical Bazaar started as a seed of an idea that will this year flourish into the Gold Coast’s biggest gardening extravaganza. If your event is not listed here and you would like to be; please send your application to be featured via email (send to: info@gardencouncil.org).